Recorded in a toolshed in the back country of Lake Stephens, Washington at Uncle Jim's on a 4 track mobile studio. Many of the tracks were recorded in the great outdoors overlooking a frog & toad-filled pond. All 5 tracks were recorded in 4 days! Then, the tracks were brought down to Long Beach, CA and mixed & mastered in a professional recording studio called 'The Compound Recording Studio.' This was a project put together as part of a 4 day band retreat. In other words, the band took it upon themselves to leave all city distractions behind, no friends, wives or girlfriends, no visitors, no television, no going home to the comforts of your own domain, no going out afterwards, just the band, their recording gear, their musical instruments and their creative minds. The band knew they could very well record this at home in the comforts of a professional recording studio with air conditioning/proper heating, a comfortable couch in a beautiful control room, and all the pro recording equipment to choose from to get the right sounds. Instead, the band took all these aspects away and produced a wondeful recording using the most simple and straight forward recording methods without access to all the fancy gear. Taking the band out of their comfort zone or out of the box, is what makes this CD represent the true and raw Delta Nove we all know. The determination of the band along with the relaxing, beautiful atmosphere where it was recorded brought this tasteful, creative 5 song ep to your music player. It is the band's latest work of art that can be found in record stores, websites, live shows and national music festivals throughout the 2009 year. 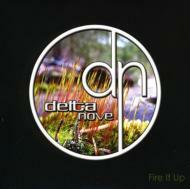 We hope you enjoy Delta Nove's latest ep and we appreciate your support for music and the arts!